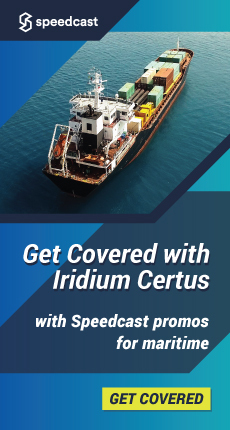 Piraeus-based Stamco Ship Management reports that it has completed the installation of Naval Dome’s Endpoint maritime cyber defence package onboard a 57,692GT Pure Car and Truck Carrier (PCTC), the first of 55 PCTCs under Stamco management scheduled to be outfitted with the cyber system. 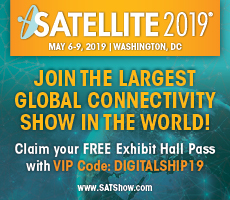 Satellite operator Intelsat has announced a new partnership with Shenzen-based APT Mobile Satcom Ltd, which will see APT become the first Chinese provider of maritime Ku-band VSAT services running on the IntelsatOne Flex platform. The International Association of Classification Societies (IACS) has published the first nine in a planned list of twelve recommendations documents on cyber safety, the culmination of a long-term initiative built on cross industry input and support. Intelsat has confirmed that it has successfully launched the final satellite in its EpicNG high throughput satellite (HTS) programme, with the Horizons 3e satellite taking off from the Guiana Space Center in Kourou, French Guiana, aboard an Ariane 5 launch vehicle. North P&I Club has been awarded the UK government-backed Cyber Essentials Plus accreditation, awarded to companies who have successfully implemented systems to protect themselves against common cyber threats. 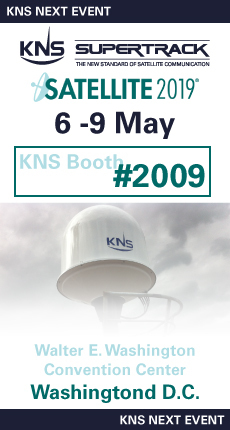 Navarino has announced a deal with SES Networks to add the satellite operator’s global Ku-band managed mobility service to its maritime satcom portfolio for the maritime market. 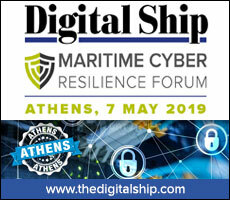 Marlink has expanded its range of cyber security services for maritime with the addition of a new Cyber Detection system which monitors all outbound and inbound network traffic and displays alerts through a web-based dashboard.